This high-end, well-made, surprisingly quiet saw thoroughly exceeded my expectations in terms of agility, compactness, and ease of use. Its 12-inch blade is driven at 3800 RPM on a compound cutting arm that can accommodate straight cuts up to 6.5 inches thick and 12 inches deep. The base has extendable platforms for supporting long stock. It makes very short work of 4-inch PVC. One of the great features of this saw is that it can move dramatically without taking up much space. The GCM12SD comes with an articulated arm, and can be backed up right against a wall without restricting front-to-back movement. 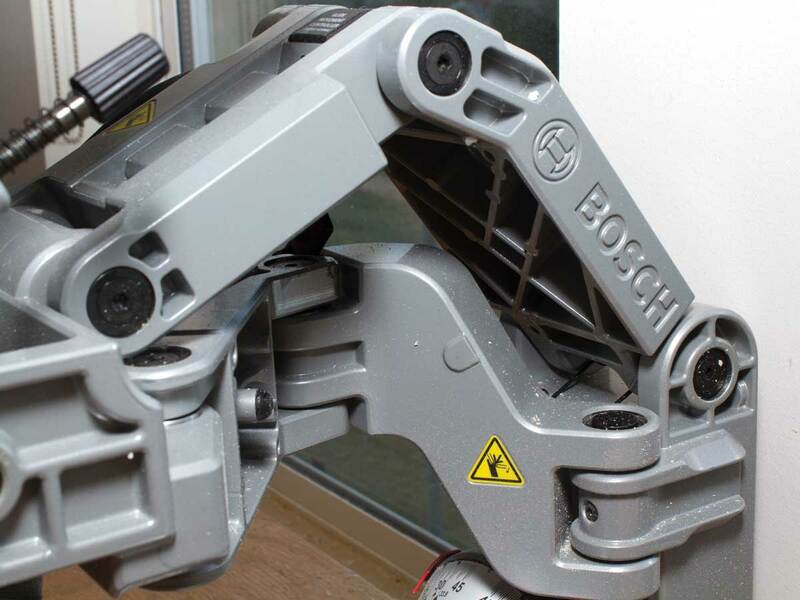 The saw can bevel up to 47° in either direction, and simultaneously miter up to 52° left or 60° right. Even at full bevel and miter stops, it can still handle stock up to 4 inches thick and 12 inches deep. The only major drawback is the price, which may be prohibitive for weekend projecteers. 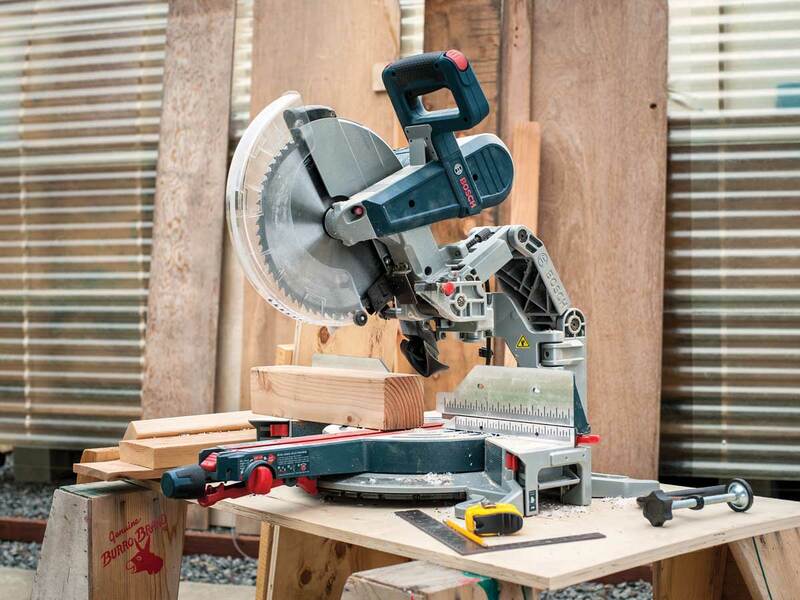 But anyone who uses a chop saw frequently will probably find that investing in a GCM12SD pays off pretty quickly.